MacBook Pro (Retina, 13-inch, Mid 2014) and OS: 10.13.6. Power unplugged. Thus on Battery. echo `date` " -------- not sleep yet"
Close the lid. Put it to backbag. Leave office, Drive and go home. I found out the weird thing happened during the time 22:17:06 to 22:17:35. This is very crazy. 2018-11-28 22:17:06.767805+0800 0x36749    Default     0x0                  0      0    kernel: (AppleCredentialManager) AppleCredentialManager: powerStateDidChangeToGated: SYSTEM IS AWAKE. 2018-11-28 22:17:06.767826+0800 0x36742    Default     0x0                  0      0    kernel: (AppleCredentialManager) AppleCredentialManager: handleEventGated: called, eventID = 4. 2018-11-28 22:17:06.779647+0800 0x206      Default     0x0                  97     7    bluetoothd: (IOBluetooth) [com.apple.bluetooth:CBXPCManager] -> Powering to On State. 2018-11-28 22:17:06.779694+0800 0x206      Default     0x0                  97     7    bluetoothd: (IOBluetooth) [com.apple.bluetooth:CBXPCManager] -> Powering to On State. The above is just part of the log. If anyone want to see all, I can paste it to pastebin. I have done everything I can do to prevent the system to wake up by itself. I have disabled wake for wiki access and I have disabled power nap completely. This is just CRAZY!!! The system should never never be awake when the lid remains closed and I am in travel. This is just very dangerous and unsafe to me. 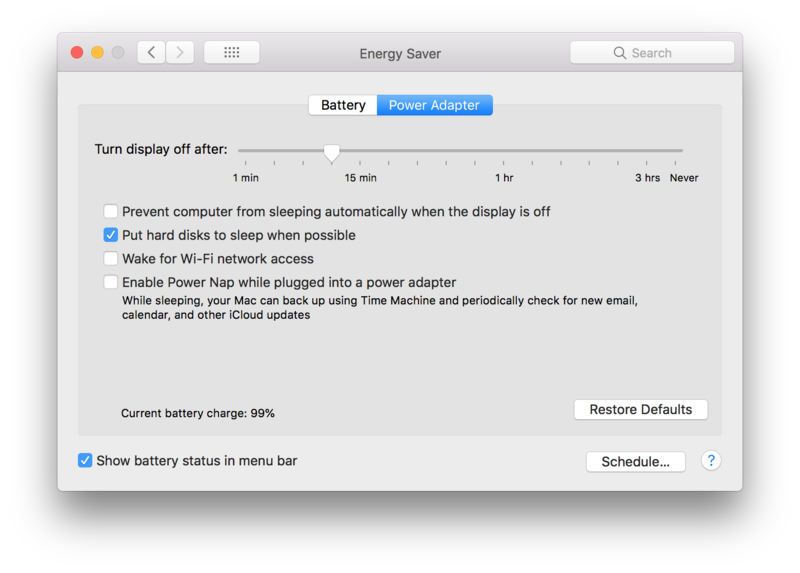 I have fight against the stupid MacOS for two days and don't figure out how to make it just remain sleep when it should and when the lid is closed. Un-check System Pref, Bluetooth Advanced Allow Bluetooth devices to wake this computer ! Not the answer you're looking for? Browse other questions tagged macbook sleep-wake .